Wind blows incessantly here and the contrasts between land and sea are astonishing, but so are their similarities. Both are colossal in extent and they are equally as enchanting. 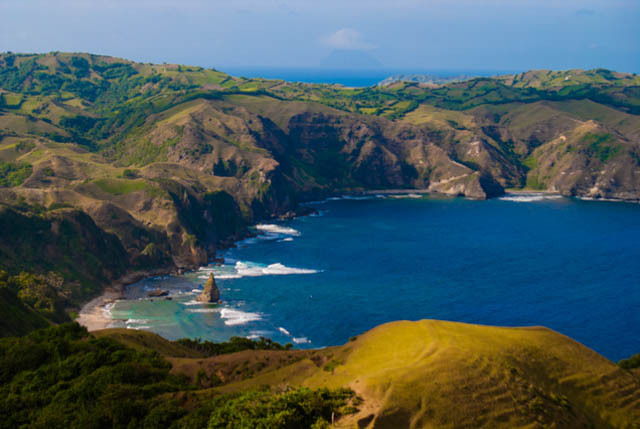 I stand to take a better look at the cerulean sea hemmed in by jungle-clad mountains; they say this place is an impeccable spot to watch Batanes’ celebrated twilight facing the South China Sea. But the sun is not due to hide yet, so I just enjoy the view and take pictures. Visitors are also encouraged to walk down the a hundred steps of a nearby cliff to fish, to test endurance, or take more photos. We are standing at Chawa View Deck, situated in Mahatao in Batanes, a municipality which has been dropping jaw for decades. 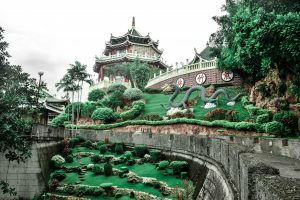 Situated just 6 kilometers away from Basco, the capital of the province, it prides itself for its wealth of cultural heritage sites and practices. 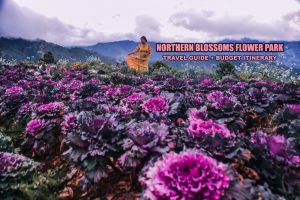 It has a land area of about 1,290 hectares, representing 5.61% of the provincial land area. 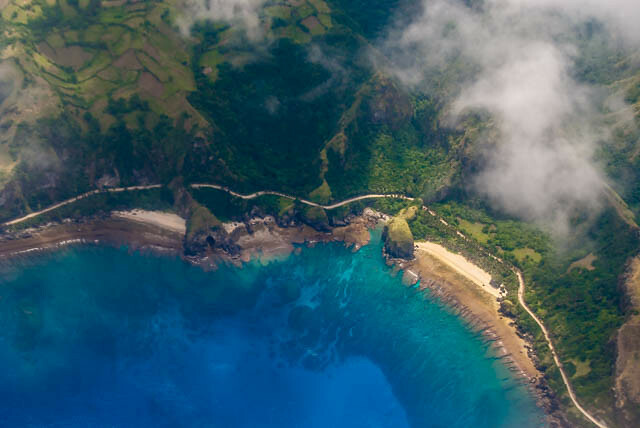 The town amid a collection of four barangays, where a few remaining stone houses are sprinkled, is where all that is magical about Batanes come together in one easy-to-love package. 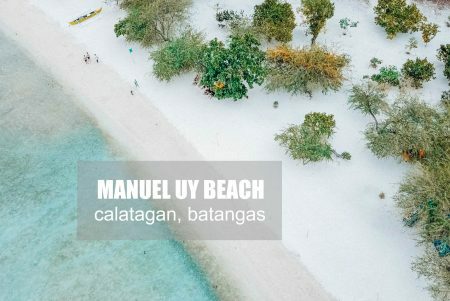 No wonder Mahatao is a favorite spot of photographers for taking epic and postcard-worthy pictures. Cardona continues driving towards the south, we wind our way through mountain-shadowed roads. Soaring cliff drops hundreds of feet into the sea, surrounded by crashing surf. Suddenly, around a slow meandering bend in the mountain, I see a lovely, yet lonely sentinel crowning the windswept hill that has withstood savage weather over the years. 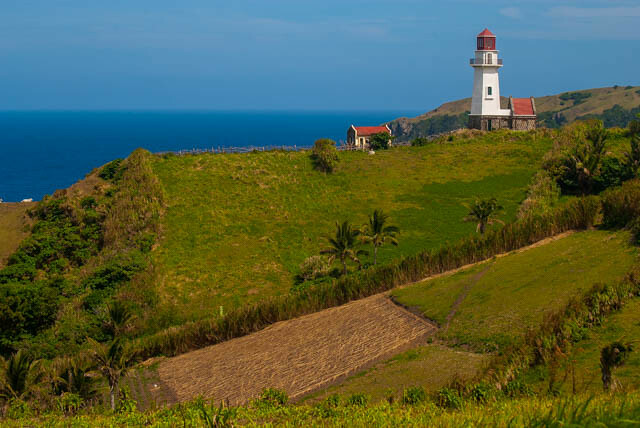 The Tayid Lighthouse has graced the cover of glossy magazines since it was built in 2000, and you probably have seen them on Batanes postcards many times before. An attraction in itself, this structure offers tourists a gorgeous view of the Pacific Ocean and the South China Sea. Draped around the promontory where Tayid Lighthouse is perched are old-fashioned patterns akin to a quilt. I learn later on that they are called liveng (hedgerows). The Ivatans use them to divide their farmlands and protect their crops from wind and animals, host migrant birds and other species, control soil erosion, and provide wood and reeds for domestic use. 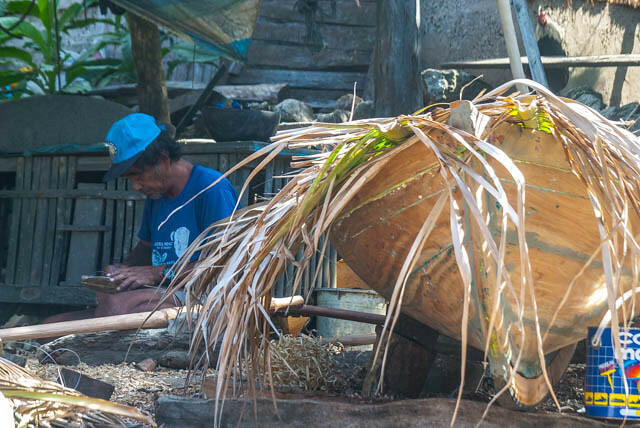 The reeds are used as ceiling materials for the traditional cogon-roofed houses. Together with organic farming and land fallowing, livengs add up to the sustainable agricultural systems of the province of Batanes. But my favorite destination in Mahatao is Diura Village, located just below the promontory where Tayid Lighthouse is standing. It is largely known for its traditional fishing practice for arayu (Dorado). 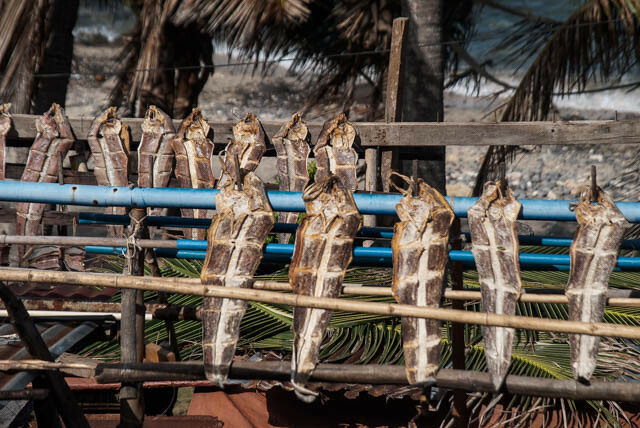 During the fishing season which falls on summer, here lives an association of fishermen called Mataw. Cardona tells me that these locals have permanent homes in Matao town proper, so the cogon houses standing shoulder to shoulder at the shores of Diura Village are actually temporary houses. I decide to spend a night at Diura village to observe the unassuming lifestyle here. I take a quick stroll and meet an old man fixing his boat while another carefully separates the newly harvested onions. Two amiable kids walking down from the forested hill carrying woods greet me. 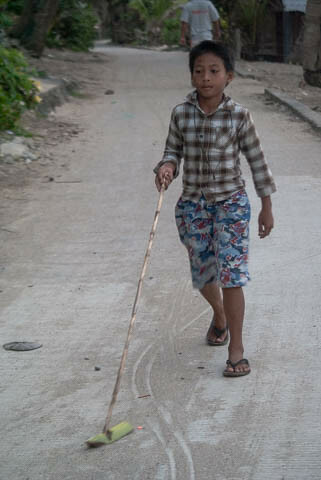 Dappled around the houses and street are dried dorado. Life in Diura is pretty simple, indeed. Mornings are marked by the crow of a rooster, the fall of a coconut or footsteps of fishermen hurrying to the shores to pull their boats to the sea. 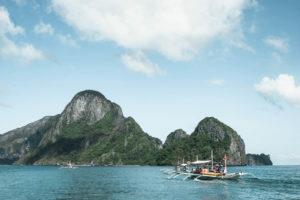 The azure beach embraced by towering mountains is usually lapped by the waves at this remote-feeling spot. Pleasant walkways are ideal for strolling especially at sunrise. Before parting ways, Escobido gives me his toy as souvenir. “So you won’t forget about us,” the charming boy says as he hands over his humble toy, something that I will forever treasure. This is why I fell for this place; it reminds me of who I am and where I want to be. For a province-dweller like me, visiting such places humbles me and teaches me to never forget my roots. 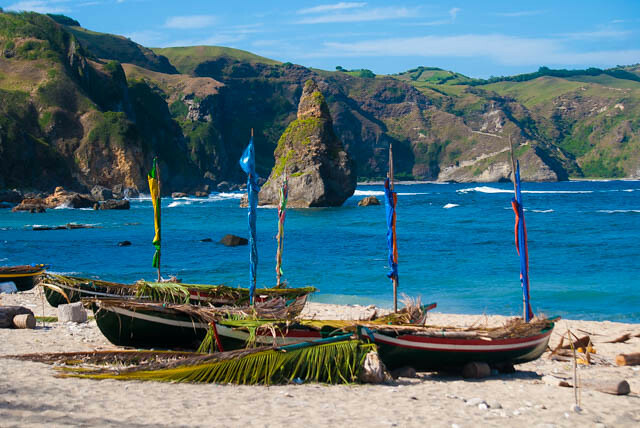 Philippines Airlines has daily flights between Manila and Basco in Batanes. Mahatao is a few minutes drive from Basco town proper. 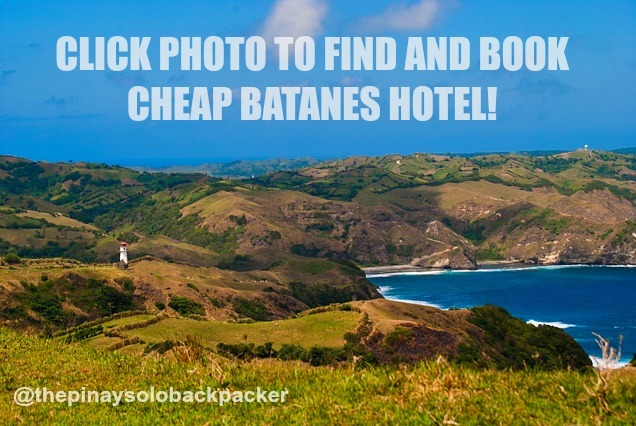 For affordable Batanes tours, contact Ryan Cardona of BISUMI Tours and Services at 09192795963/09158034582. 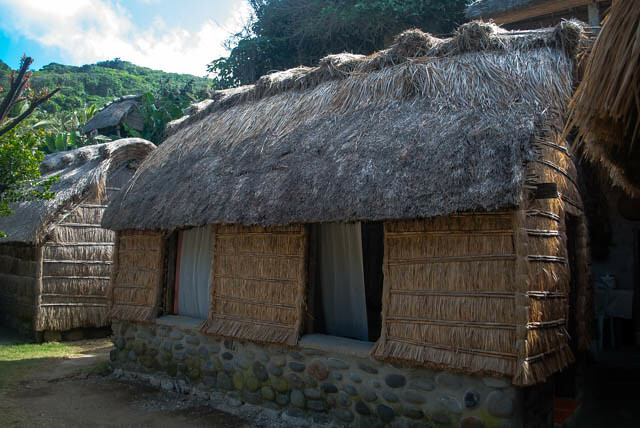 If you wish to do a day trip around Mahatao, you can stay in Basco town proper. Marfel Lodge has reasonably-priced sleeps. Contact Fe Fitero at 09088931475/09209764966.